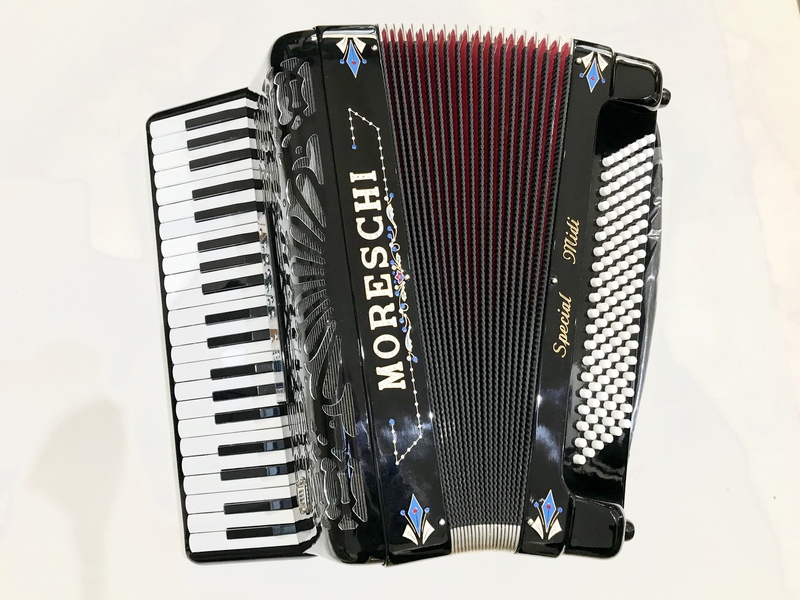 A brand new Moreschi CIAO Special Midi 120 Bass Digital Accordion. This excellent quality digital accordion features the full range of 120 bass buttons and 41 treble keys, but is extremely lightweight when compared with an acoustic accordion. This fantastic instrument boasts hundreds of accordion, orchestral and organ sounds, and also comes with inbuilt midi. 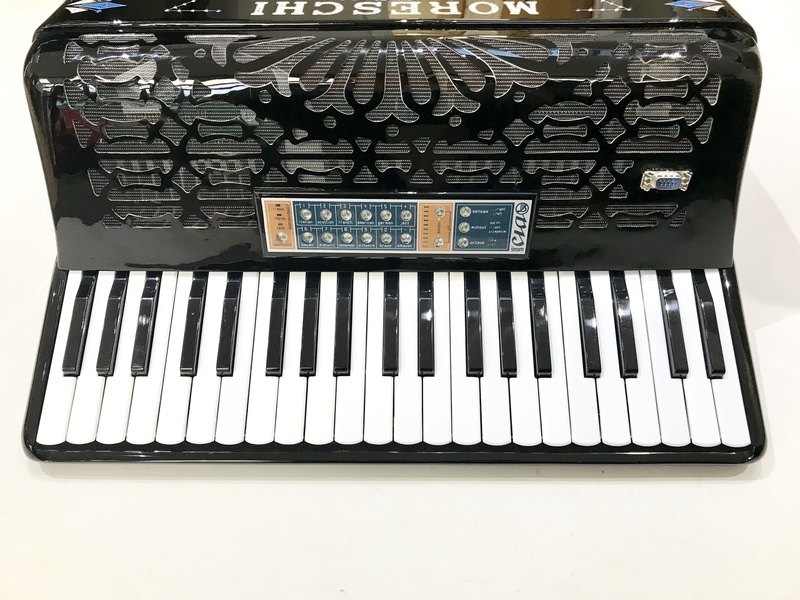 Unlike the larger and heavier Roland digital accordions, the Moreschi CIAO Special Midi 120 Bass Accordion does not have a built in speaker, and needs to be run via either an external amplifier, or headphones. However, the upside of this is a greatly reduced weight, making it a lot more manageable for the smaller or weight conscious player. This particular example is brand new, and built in the Italian town of Castalfidardo. Finished in a high gloss black casework, which is complemented with very attractive decorative stonework. 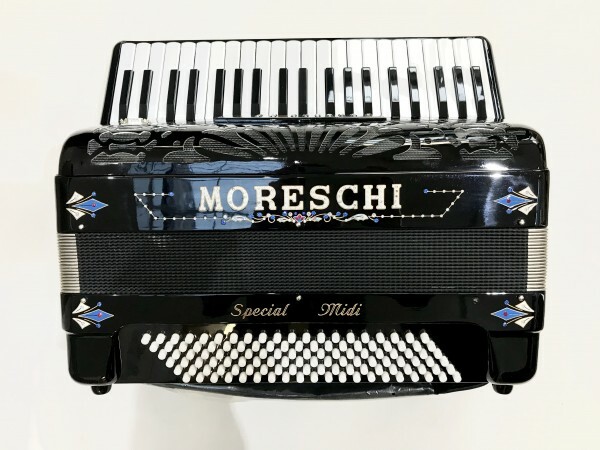 A 0% interest free loan is available on this Moreschi CIAO Special Midi 120 Bass Accordion subject to status via the Arts Council. Terms and conditions apply – please contact us for full details. This Moreschi CIAO Special Midi 120 Bass Accordion comes complete with your choice of either a soft gig bag or a hard case included in the price, padded shoulder straps and a full 1 year component parts guarantee. 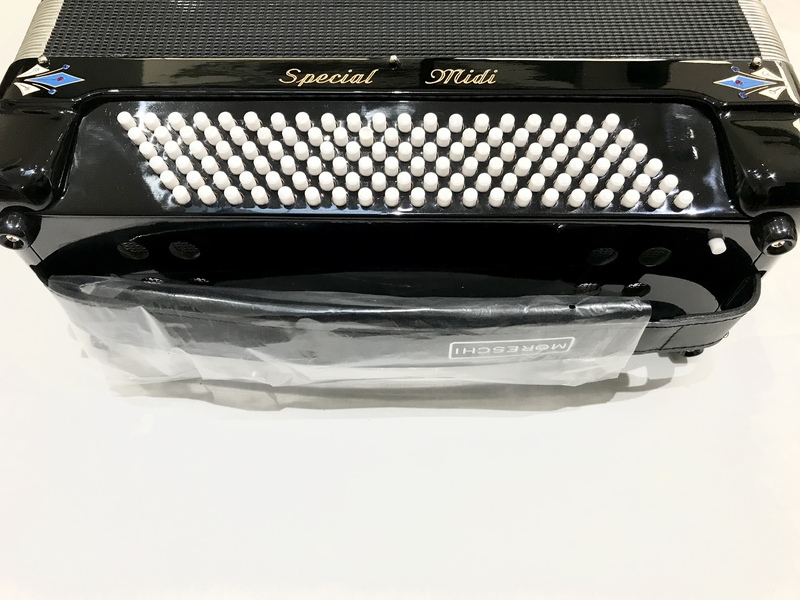 Don’t forget, free delivery of this excellent value Moreschi CIAO Special Midi 120 Bass Accordion to most parts of mainland UK is included in the price! Weight: 7.71 Kg. - 17.6 Lbs.